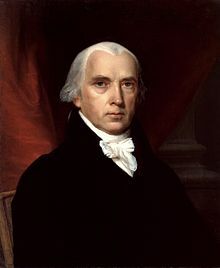 As we interrogate our sources, we might recall that it was on this date in 1789 that Representative (later, President) James Madison introduced nine amendments to the U.S. Constitution in the House of Representatives; subsequently, Madison added three more, ten of which (including 7 of his original nine) became the Bill of Rights. Madison, often called “the Father of the Constitution,” created the amendments to appease anti-Federalists on the heels of the oftentimes bitter 1787–88 battle over ratification of the U.S. Constitution– in the drafting of which he had also played a central role. 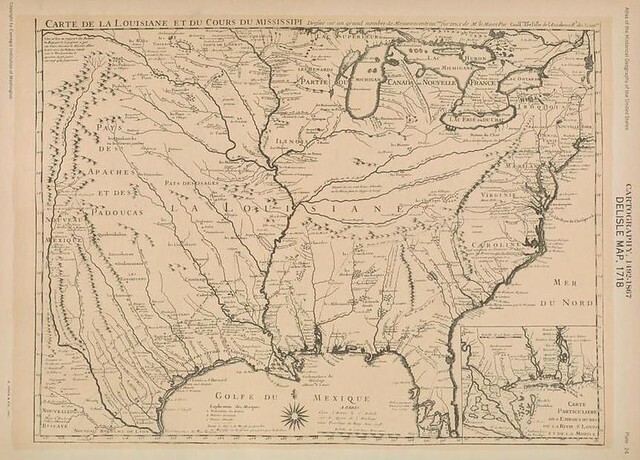 Just one of the scores of maps available at the University of Richmond’s Digital Scholarship Lab’s Atlas of the Historical Geography of the United States. And as a (more global) bonus: Edward Quin’s 1830 Historical Atlas in a Series of Maps of the World as Known at Different Periods, with an Historical Narrative, featuring 21 plates that visually depicted what Quin called “the world as known at different periods.” Dramatic clouds cover the “unknown,” rolling back slowly as time moves on. 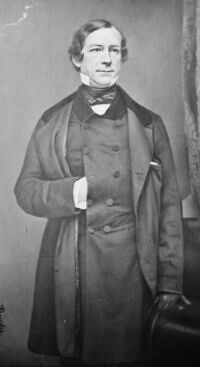 As we travel through time, we might recall that it was on this date in 1861 that New York City Mayor Fernando Wood, a “Copperhead” (sympathizer of the incipient Confederate cause), suggested to the New York City Council that New York secede and declare itself a free city, to continue its profitable cotton trade with the Confederacy. Wood’s Democratic machine was concerned to maintain the revenues (which depended on Southern cotton) that maintained the patronage that provided its electoral margins. In short, “no Jews allowed,” effective nearly immediately. But the “Department” wasn’t a section of Nazi-controlled Europe or Inquisition-era Spain. The edict wasn’t issued by Adolf Hitler. 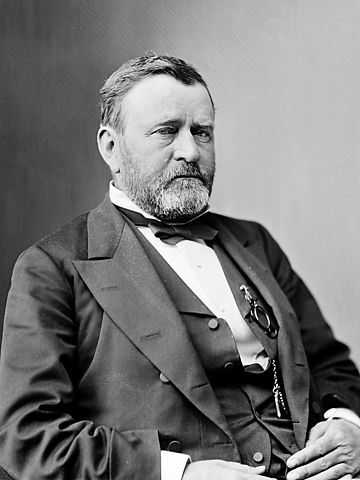 It was issued by Ulysses S. Grant, who would later be President of the United States. The year was 1862, and the “Department” was the “Department of Tennessee,” an area consisting of western Tennessee, western Kentucky, and northern Mississippi. As we wince at realization that Twain was right that “history doesn’t repeat itself, but it rhymes,” we might recall that it was on this date in 1925 that Adolf Hitler’s Mein Kampf was published (Volume One; the second volume followed the next year). 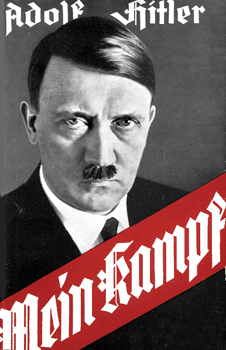 Part autobiography and part political philosophy– an announcement of his hatred of what he believed to be the world’s twin evils: Communism and Judaism– Mein Kampf was begun as dictation while Hitler was imprisoned for what he considered the “political crime” of his failed 1923 Munich Putsch. It sold 228,000 copies between 1925 and 1932, and one million copies in 1933, Hitler’s first year in office. As we ponder our pantries, we might recall that it was on this date in 1776 that Thomas Paine first published (albeit anonymously) his pamphlet “Common Sense.” A scathing attack on “tyrant” King George III’s reign over the colonies and a call for complete independence, “Common Sense” advocated immediate action.. America, Paine argued, had a moral obligation to reject monarchy and declare independence. 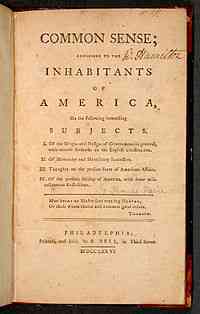 An instant bestseller in both the colonies and Britain (over 120,000 copies in just a few months), it greatly affecting public sentiment at a time when the question of independence was still undecided, and helped shape the deliberations of the Continental Congress leading up to the Declaration of Independence. A couple of days ago, The Telegraph quoted an actor and a television producer emitting typically brainless “Kids Today” plaints about how modern modes of communication, especially Twitter, are degrading the English language, so that “the sentence with more than one clause is a problem for us”, and “words are getting shortened”. I spent a few minutes fact-checking this foolishness, or at least the word-length bit of it — but some readers may have misinterpreted my post as arguing against the view that there are any on-going changes in English prose style. So I wrote a script to harvest the inaugural addresses and state of the union addresses from the site of the American Presidency Project at UCSB, and some other scripts to (I hope) extract the texts of the speeches from their html wrappings, and to count word and sentence lengths. 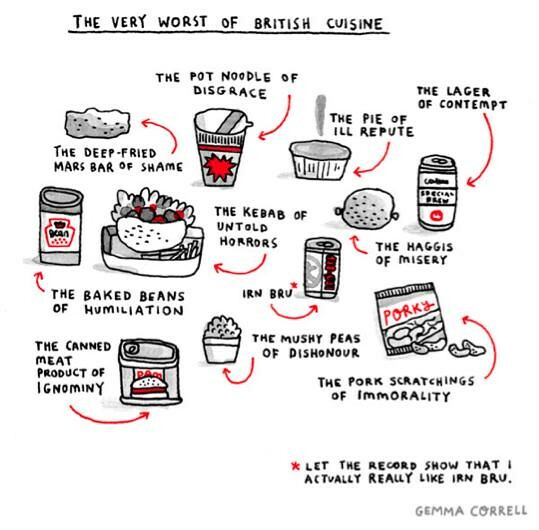 Why use these sources? Well, different kinds of writing have their own norms, and so it wouldn’t be good evidence of an overall historical trend to show (for example) that 20th-century sports reporting is stylistically different from 19th-century sermons, or that 21st-century blogging is different from 18th-century pamphleteering. 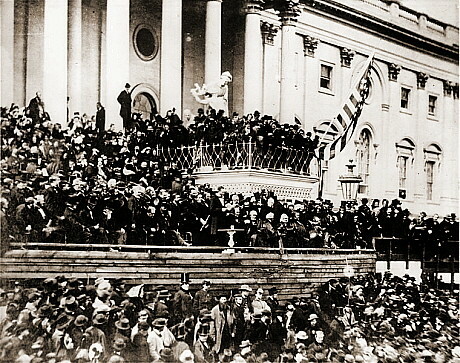 U.S. Presidential addresses are one accessible example of a body of texts, spanning more than 200 years, which ought to be fairly consistent in genre and register. 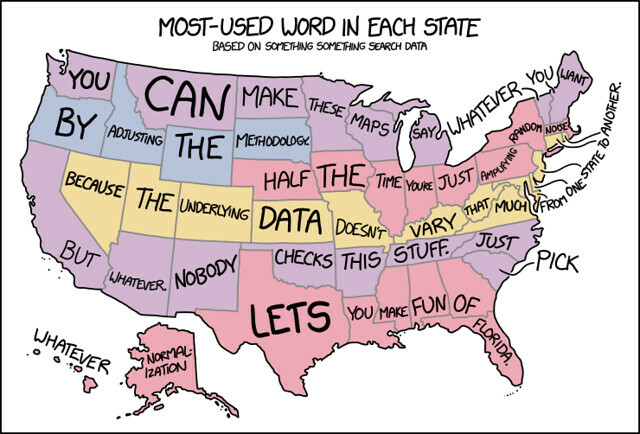 The results suggest that mean word lengths have decreased slightly in these addresses over the past century — by 5% or so — while mean sentence lengths have been falling since the founding of the republic, and have undergone a cumulative drop of perhaps 50%. Spiked with long words, woven with elegant sentences, Polk’s campaign oration earned him the nickname “The Napoleon of the Stump.” And good thing too: while he took the electoral vote by 170 to 105, Polk won the popular vote by only 38,000. Resolved to serve only a single term, Polk put his Western Expansionist policies into effect immediately. 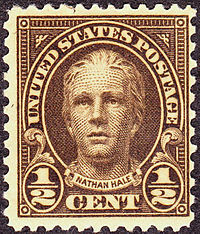 In just four years, he oversaw the annexation of Texas, the settlement of the Oregon boundary dispute with Great Britain (securing the Oregon Territory for the U.S.), and the reestablishment of an independent treasury system. The Mexican-American War began in April, 1846; at its conclusion in February, 1848, the U.S. acquired from Mexico the land that eventually became California, New Mexico, Arizona, Nevada, Utah, and parts of Colorado and Wyoming. 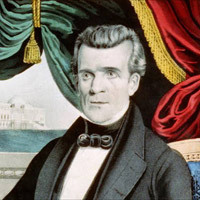 In the end, Polk oversaw the addition to the U.S. of territory second in scope only to that of the Louisiana Purchase. 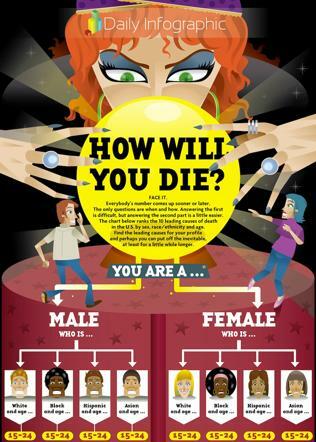 From Daily Infographic, How Will You Die? In any case, executed for spying: what are the odds?